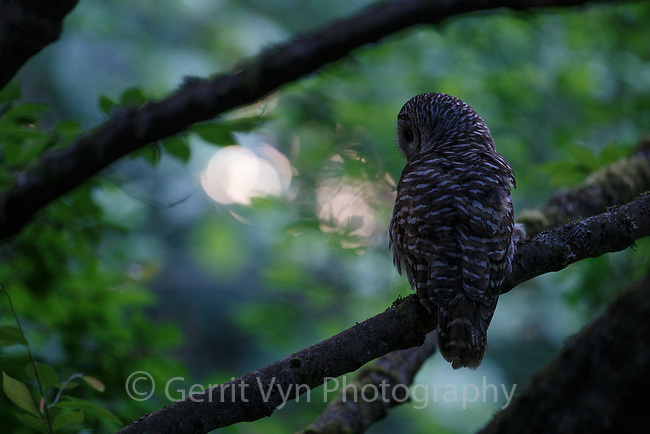 Adult Barred Owl (Strix varia) hunting at dusk. King County, Washington. May.